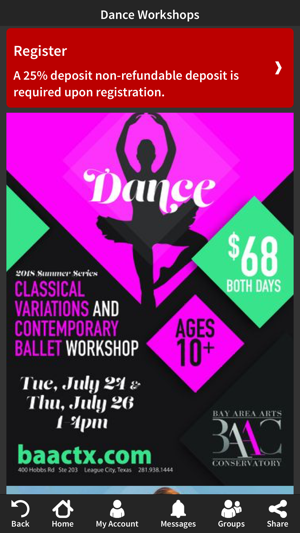 Bay Area Arts Conservatory (BAAC) is a performing arts facility offering Dance and Musical Theatre instruction. 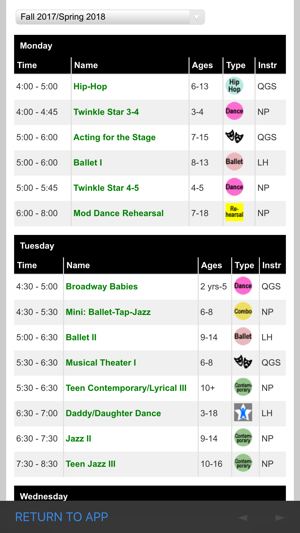 We offer a variety of programs for boys and girls ages 2-18 in Ballet, Jazz, Tap, Modern, Musical Theatre & Voice. 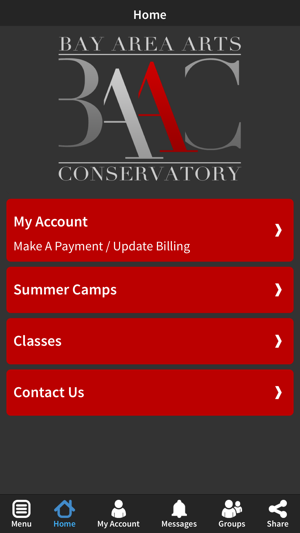 The BAAC app allows you to register for classes, view your account and receive important updates. The BAAC calendar, social media links, and contact information are also easily accessible from the app. 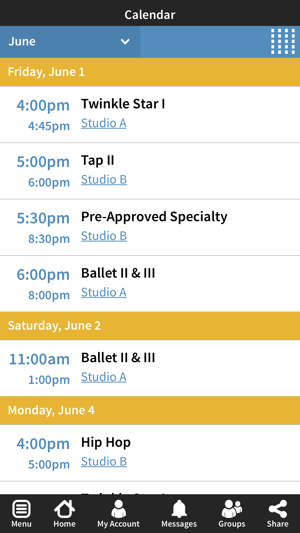 - Have a class in mind? Search by program, level, day, and time. You can register or even put yourself on a wait list. - Need to know if classes are cancelled due to holidays? The BAAC app will be the first to let you know. 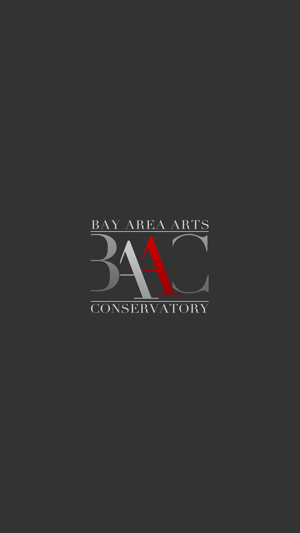 The BAAC app is an easy-to-use, on-the-go way to access everything Bay Area Arts Conservatory has to offer right from your smartphone.